The Eric Clapton biography tells the story of one of the best selling artists of all time. During the five decades and counting of his music career, Clapton has built one of the largest followings in the history of music. Some of his songs, such as Layla, Wonderful Tonight, and I Shot The Sheriff, are rock standards, discovered by generation after generation of music fans. The musician's life hasn't been without controversy or tragedy, however, and private aspects of his life are discussed as often as his music. Eric Clapton was born in Surrey, England in March, 1945. His mother was only 17 years old at the time, and his father was a Canadian soldier who had long been transferred out of the UK by the time of his birth. Clapton's grandparents took on the role of his parents, and he was raised believing that his mother was his older sister. Eventually, his mother married a different Canadian soldier and moved with him to Canada, leaving Clapton in England with his grandparents for good. Music, especially blues music coming from the United States, was of interest to Clapton from a young age. He enrolled in Kingston College of Art, but only lasted a year as the school caters to visual artists, not musicians. He left school and attempted to earn a living busking around West London. He also passed in and out of a few London bands during his time, earning himself a reputation as a tremendous guitarist. Most of his bands in London were casual and never lasted long. That all changed in 1963 with The Yardbirds. Clapton joined The Yardbirds because he believed they shared his love of blues music. The group gained a large following in London after they took over the Rolling Stones residency at Richmond's Crawdaddy Club. The group was also invited to tour the US. Despite the building success, Clapton soon grew tired of the group. The group was moving in a decidedly more pop direction, away from Clapton's beloved blues. Clapton decided to leave in the wake of the group's first hit, For Your Love. 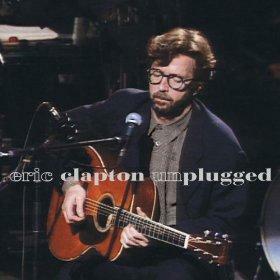 Clapton felt the song was too pop, especially since the songwriter behind it had also written for Herman's Hermits. Next, Clapton spent a few months playing with John Mayall and The Bluesbreakers. He didn't stay long, but his time with John Mayall helped him earn a reputation for being the best blues guitarist in Britain. During this time, the famous "Clapton is God" graffiti began to pop up over the Islington borough of London. Clapton left Mayall so he could form his own group - Cream. Although the term wasn't in use in the late 1960s, Cream is widely regarded to be the first "supergroup." Clapton got the best musicians he knew - Ginger Baker and Jack Bruce - and set out to make blues inspired rock. Although Clapton was facing some competition in the guitar playing stakes by a then emerging Jimi Hendrix, Cream was a hugely successful group. Their Sunshine of Your Love is one of the biggest selling hits of the decade. Cream allowed Clapton to gain an audience on both sides of the pond. After Cream disbanded, Clapton took part in the a few different groups: Blind Faith and Derek and The Dominos. The real story from the 1970s, however, is the launch of Clapton's solo career. He began to dabble in reggae as well as explore more deeply his blues roots. During this time, Clapton recorded some of his most popular songs. 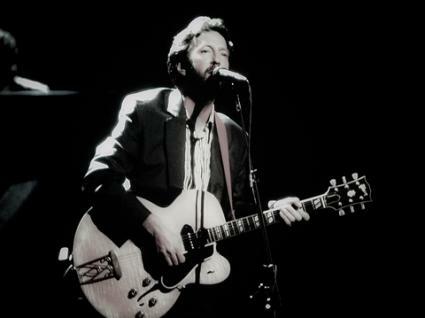 In the 1980s and beyond, Clapton has continued to release new music, but he remains most popular for his back catalog. He is still considered to be one of the best blues guitarists ever, and frequently pops up on the touring circuit. He holds the record for being inducted into the Rock and Roll Hall of Fame; he has three inductions: The Yardbirds, Cream and as a solo artist. Clapton befriended George Harrison in the late 1960s and became infatuated with his wife, Patti Boyd. Boyd rebuffed his advances, and Clapton withdrew from the music industry briefly while falling deeper into his heroin addiction. He wrote the song Layla for her. After Boyd divorced Harrison for cheating on her with Ronnie Wood's wife, Clapton and Boyd were married. During their marriage, he wrote Wonderful Tonight for her while she was getting dressed to attend a party at Paul McCartney's house. Boyd and Clapton were divorced in 1989, after he conceived two children outside of the marriage and refused to get help for his alcohol and drug addiction. One of these children fell from a window when he was four and died, inspiring the song Tears in Heaven. In 1976, Clapton announced support for controversial, anti-immigration political candidate Enoch Powell in the UK. Clapton said, "keep Britain white" - which became the slogan for the British Nationalist Party. In years since, Clapton has stood by his statement and continued to voice his support for Powell, while denying charges of racism.